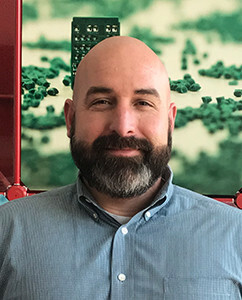 Damon Bugbee’s background includes experience as a certified Lean/Six Sigma business professional, formally trained in TPS, Mixed Model Solutions (ETO) and Program Management. He received his Bachelor’s Degree from Eckerd College, is a certified Six Sigma Black Belt and has a Master Certification in Lean Supply Chain Management from the University of San Francisco. He has strong experience in continuous improvement, problem-solving and leadership. 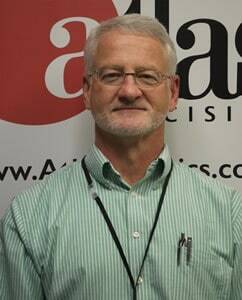 Larry Mackey joins Atlas Precision as a leading Sales Manager for plastic injection molding. With over 30 years’ experience in automotive and pharmaceutical support sales, Larry has strong expertise in data-driven, long-term strategic planning, organic growth and new client on boarding. 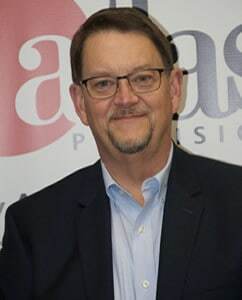 Prior to joining Atlas Precision, Larry served as Director of Business Development for a global automotive injection molding company where he led corporate business development and new client systems for facilities in the US and Canada. And as a Director for a clinical trial support organization partnering with clients to bring their device or compound to market. 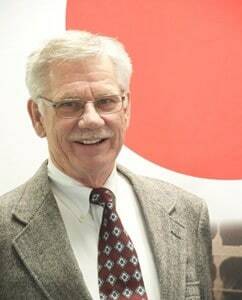 Larry holds a Bachelor of Science degree in Business Administration and is an active volunteer in his community. He and his wife Anne are originally from North Carolina. Diverse experience in precision machining / measurement, cold forming, and plastic injection molding environments, serving the aerospace, automotive, bearing, and medical industries. Extensive management and leadership experience from positions associated with Engineering, Quality, Planning, and Manufacturing roles. Industrial Technology degree (BS) from Western Carolina University, coupled with a Drafting and Design degree (AAS) from Asheville Buncombe Technical College. Demonstration of effective communication skills with customers and associates. Promotion of a team-oriented environment, developing versatility and personal growth individually. Accomplished continuous improvement through the development of personnel and systems, with focus on primary organizational objectives and their achievement.